The tagline for the BeautySleep collection of innerspring mattresses by Simmons is "Welcome to Better Sleep." But retailers are still repeating, "The strength of this collection comes from within." The BeautySleep collection may not be Beautyrest, but this less expensive line of Simmons mattresses has become more like the flagship brand. According to a press release and subsequent news articles, "Simmons will also introduce a new line of BeautySleep® mattresses, providing customers with unmatched comfort, support and value at entry-level price points." There are a few places where the changes from the 2014 edition of BeautySleep are seen in the 2015 models. The key change in BeautySleep is seen in the support system. 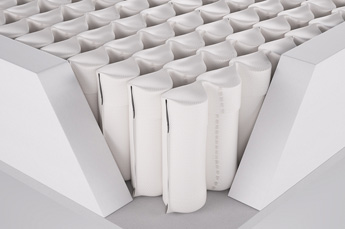 In the 2014 BeautySleep mattresses, some of the models had coils that resembled hourglass-shaped Bonnells with dual perimeter rod edge support, while "select models" had Simmons' 700 Series Coil Technology. As of 2015, all the models have the 700 Series Wrapped Coils. Some of the seven models have a 690 coil count in Queen size, while the rest have a 700 count. These pocket coils are better than the older ones for pressure relief and motion separation. Since all models in the BeautySleep series now have pocket coils, they also all have the BeautySleep Foam-Encased Edge Support System. This wall of foam entirely surrounds the mattress, holding the free coils in place and suppporting the edge of the sleeping surface. In both 2014 and 2015 series, the cover fabric may be either a Damask or a stretch circular knit fabric. The Damask is on higher-end "select models." In either case, the cotton-polyester cover is breathable. Two of the comfort layer foams used in 2015 Simmons BeautySleep mattresses are AirCool Memory Foam and GelTouch Foam. 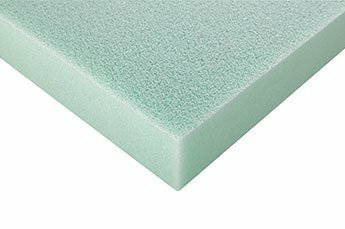 AirCool is, basically, an open-cell memory foam which is structured to foster the flow of air through the foam for cooling. Were it not for this, the memory foam would tend to become too warm. 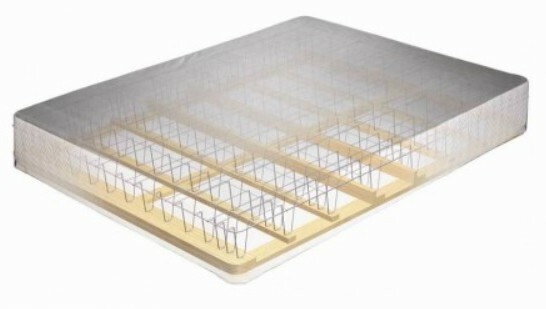 GelTouch takes a different approach to cooling a mattress. Infused beads of gel modify the support properties of the foam. They also absorb heat and disperse it to dissipate. Other foams include Energy Foam for transitional support from the coils to the comfort foam(s). And in some models, quilting foams. 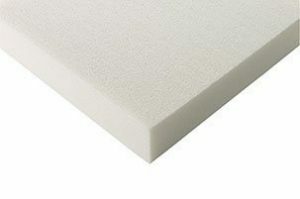 The type and firmness of the foams used determines the overall comfort level of the mattress model. The comfort levels range from 3 to 8 on a scale of 10 (Plush to Firm). The foams also determine the mattress height, 10" to 14" overall. 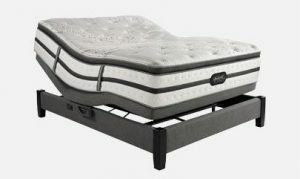 The recommended foundation for a BeautySleep mattress is Simmons' Triton Foundation, a box spring of improved design. These mattresses are also compatible with adjustable beds, such as the Renew Powerbase and Renew Powerbase Plus, and with platform beds. Old fashioned type box springs are not recommended for this type of mattress. Models in the 2015 BeautySleep Collection are covered by Simmons' 10-year non-prorated waranty.